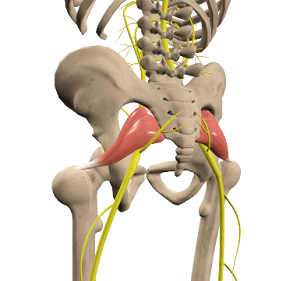 Piriformis syndrome is characterized by pain, tingling and numbness in the buttocks. The pain may also extend down along the nerve and involve the leg as well (extraspinal sciatica). Pain is usually exaggerated by activities which exert pressure over the piriformis muscle such as sitting for long hours, running or climbing stairs. In a few cases, botulism toxin injections and electrotherapy can also be considered. These helps reduce the muscle tightness. In patients not responding to the conservative approach, surgery may be considered. This involves the surgical release of the piriformis muscle and decompression of the sciatic nerve.